Home > Educational Materials > Chemistry Educational Materials > Applied Chemistry Learning Activities > Ward's® AP Chemistry Investigation 2: Spectrophotometry: What is the Mass Percent of Copper in Brass? Ward's® AP Chemistry Investigation 2: Spectrophotometry: What is the Mass Percent of Copper in Brass? In this kit students will determine the mass percent of copper in a brass sample. Students will design and interpret the results of an experiment regarding the absorption of light to determine the concentration of an absorbing species in a solution and be able to relate measured mass of substances to identify stoichiometric relationships for a reaction. Includes copper (II) sulfate solution, copper (II) nitrate solutions, zinc nitrate solution, zinc sulfate solution, iron nitrate solution, iron sulfate solution, concentrated nitric acid, sodium bicarbonate, 20 brass 0.22 caliber shell casings, and 10 brass screws. 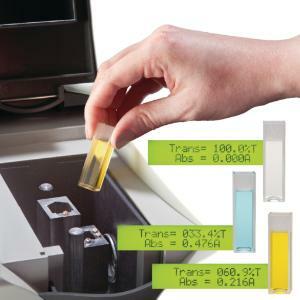 Requires spectrophotometer or colorimeter, and cuvettes, available separately. Required but Not Provided: Cuvettes, DI Water, Graduated Cylinders, Beakers, Test Tubes, Pipettes, Spectrophotometer or Colorimeter, Watchglass covers, Tape or marker, Graph paper, Lab notebook, Gloves, safety goggles, lab aprons and graphing software.